In recent years, it’s become easier than ever to get your hands on a good enough camera and start dabbling with photography. From inexpensive DSLRs to the humble cell phone, it’s easy to get your hands on something to take photographs with — but finding the right software to edit it can be a little bit trickier. This selection of free programs will provide everything you need to make the most of your photos. All of these tools will work on Windows and some are cross-platform and open source. Popular open source and cross-platform image editor GIMP: A Quick Walkthrough Of Everyone's Favorite Open Source Image Editor GIMP: A Quick Walkthrough Of Everyone's Favorite Open Source Image Editor Read More and Photoshop alternative Better Than Photoshop? Make GIMP Even More Powerful With These Plugins Better Than Photoshop? Make GIMP Even More Powerful With These Plugins We all know that Photoshop is the premiere application for image and graphics manipulation. It simply does everything you could possibly want, which is the reason why most professionals choose it and why your wallet... Read More . As far as free alternatives to Photoshop go, you won’t find anything more comprehensive and fully-featured than GIMP. 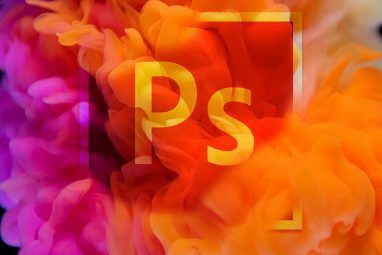 Much like Photoshop, you can do just about anything with GIMP — as long as you have the know-how Perform These 7 Awesome Photoshop Tricks in GIMP Perform These 7 Awesome Photoshop Tricks in GIMP Read More . 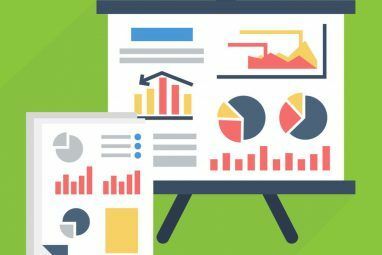 While you’ll be able to find plenty of online resources to help you get your head around its intricacies, this is not a program that is well-suited for novices, and you can expect to get lost quickly if you’re not familiar with Photoshop. GIMP is well worth the time it takes to get to grips with, but it’s important to understand that it’s not an easy program to master. Intuitive image editor for basic edits, extendable with plugins. If you’re looking for something that’s a bit more user-friendly, Paint.NET might just be the answer. First developed as a successor to Microsoft Paint, the project has now been worked on for years and is generally regarded as one of the most useful pieces of image editing software you can find for free. It’s a great program to have at hand for fixing a range of common issues in one place; the basics like cropping, red-eye removal and color balance are all here — and there’s plenty of scope to customize the program with plugins Using Paint.NET? Make It Even Better With These Great Plugins Using Paint.NET? Make It Even Better With These Great Plugins Have you ever needed to do computer artwork that involved more than simple crops and resizes? 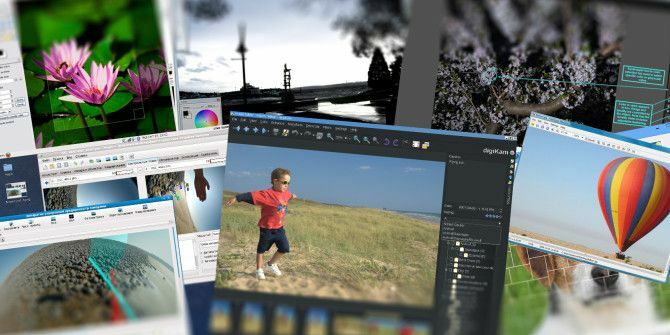 For a long time, your only real options were Paintshop Pro and Adobe Photoshop, although the rise of GIMP... Read More to better suit your needs. Open source digital darkroom software which supports processing and editing of RAW images Budding Photographer? Here's Why You Should Be Shooting Raw Budding Photographer? Here's Why You Should Be Shooting Raw Every dSLR, prosumer and even some high-end compact cameras have the ability to save raw image files. This isn't just a higher quality of image, it's a gift from the photography gods. Read More . LightZone is one of the best bits of free darkroom software out there. The program eschews the traditional ‘layers’ that similar packages typically use for the more flexible ‘stack’, which makes for a very powerful tool once you’re used to the slightly different way the system works. There’s a broad variety of editing methods available to you — particularly for fans of black and white photography Photoshop Tips For Black & White Photography Photoshop Tips For Black & White Photography Read More , which LightZone caters to particularly well — but what really makes this program a must is the way it works with batches. Any ‘stack’ that you have come up with can be easily applied to a whole batch of photographs, which can be a real time saver when you’re dealing with large quantities of photographs. A cross-platform (Windows & Mac) panorama photo stitcher 5 Dead-Easy Ways to Create Your Own Panoramic Photos 5 Dead-Easy Ways to Create Your Own Panoramic Photos Read More . If you’re looking to make a really impressive panorama shot without any fancy hardware, Hugin is just the tool that you need. The program can stitch together a multitude of photographs into one image. While its functionality comes as a result of a great deal of behind-the-scenes calculations, for your part it’s a relatively simple and painless process. ‘Control Points’ are the key — that is, points that are present in more than one photo that can help Hugin stitch the entire panorama together. Some of the more advanced settings you might want to grapple with are clearly intended for expert users, but there’s certainly great results to be had with Hugin, no matter what your level of experience. Straight forward tool for creating panorama images with integrated online image sharing. For anyone who’s not particularly confident with high-level programs, but still wants to experiment with creating their own panoramas, Microsoft ICE — that’s Image Composite Editor — will do the trick. Users simply have to point the program towards the images that they want to use, and the panorama is built in a matter of seconds. However, it’s what you can do after the image has been created that’s really impressive; Photosynth support is integrated New Photosynth Brings Spin, Panorama, Walk and Wall for Immersive 3D Photos New Photosynth Brings Spin, Panorama, Walk and Wall for Immersive 3D Photos The new version of Photosynth offers new, exciting 3D panorama features, which Microsoft calls Spin, Panorama, Walk and Wall. Read More into the program itself, allowing you to easily upload your panorama to the Internet to share it with friends. Easy to use image viewer, converter, and editor FastStone Image Viewer - Undoubtedly The Best Image Viewer, Converter & Editor Bundle FastStone Image Viewer - Undoubtedly The Best Image Viewer, Converter & Editor Bundle Read More . If you have a large photo collection, then you’re going to want a program that allows you to browse through it quickly and easily. A responsive interface and rock-solid stability are crucial, and that’s exactly what’s on offer with the FastStone Image Viewer. You’ll be able to compare photos, look at their EXIF data and perform basic edits, all in a clean interface that has been specifically designed not to interfere with the work that you’re doing. Versatile photo editor and organizer, with integrated Google+ upload and sharing options. 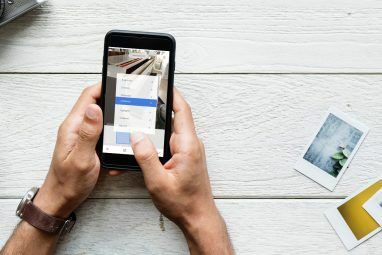 Picasa is another alternative if you’re looking for a way to organize your photo collection — particularly if you already use Google+. You’ll be able to perform edits on your images and arrange them as you see fit It’s the online sharing features that really make Picasa powerful Picasa - Still The Best & Most Versatile Photo Manager Available Picasa - Still The Best & Most Versatile Photo Manager Available How many photos would you say you have? More than a hundred? Six hundred? A thousand? Pictures are a big part of all of our lives, but there is else something which is equally important... Read More . It’s all tied into Picasa, so it’s great if you’re looking for a program that makes it easy to create an album that you can then share with friends online. Otherwise, you might find that you can do more with a different program. Advanced open source and cross platform digital photo management tool. Most photograph organization packages use a folder-based format to sort your photos, and while this certainly gets the job done, more modern methods are out there. digiKam has a robust tagging system (FastStone Image Viewer uses a similar, if slightly inferior, system), which allows users to sort their images more logically. This method allows for a photo to belong to more than one category at once, useful if you want to be able to sort images by date as well as by subject. Standard editing tools are also available to take on minor tweaks within the program. Basic tool to convert images or photos into a video. Images to Video is a program that really does just what you’d expect — it turns your images into video. If you’ve ever seen a time-lapse video and wondered if you could make something similar for yourself Make Stunning iPhone Time-Lapse Videos With iOS 8 Make Stunning iPhone Time-Lapse Videos With iOS 8 iOS 8's new time-lapse feature can create some insanely cool videos -- here's how to get the most out of it. Read More , then this is a must-have. Good results are more reliant on your photographs than a deep knowledge of the program itself; if you have a tripod, then it’ll come in very handy. Otherwise, it’s just a matter of keeping your camera very still for as long as you want your time-lapse to run for, and making sure that you take the photographs at equal intervals. From there, simply load them into Images to Video and decide what format and resolution you want your finished video to be. Distraction free and comprehensive photo mosaic creator 3 Tips to Help You Create Photo Collages the Easy Way 3 Tips to Help You Create Photo Collages the Easy Way Creating collages can be a bit time-consuming if you do it yourself in MS Paint or Photoshop. If you don’t feel exactly creative, your work may not even bring you the results you want. I... Read More . Another interesting way of presenting your images is turning them into a mosaic that forms a larger image. Doing this by yourself would be needlessly long-winded and tedious, but thankfully there’s several options out there which automate the process. AndreaMosaic is the best of the bunch Create Stunning Photo Mosaics In Minutes Create Stunning Photo Mosaics In Minutes Read More — it’s fully-featured, but there’s very little fluff to distract from what it’s designed to do. Your finished product will look slick and professional, and you won’t have to spend hours fiddling with options and settings to make it happen. Is another free piece of image editing software 5 Easy Ways to Create Diptychs & Other Photo Collages Without Photoshop 5 Easy Ways to Create Diptychs & Other Photo Collages Without Photoshop A diptych consists of 2 images displayed side by side, and can often be a creative and attractive way to tell an even more elaborate story with your images. While with a little bit of... Read More key to your workflow? Are you aware of Mac or Linux alternatives to these programs? Let us know in the comments section below. Explore more about: Batch Image Editing, Image Editor, Panorama, Photo Sharing. I used to love to use PicMonkey's "clone" feature to edit some photos. Example, remove powerlines from a sunset view by 'duplicating' another part of the pic in their place. Now it's a "premium" service. Do any of you wonderful people know where I can find this as a freebie? Thanks, Happy New Year! Richbrush is free image editor, it has many feature to edit/retouch image. Richbrush is very powerful but simple to use. Richbrush is free image editor. It's very powerful yet simple tool,you can edit or retouch your photo easily with software. anybody have any experience with showfoto on MAC (a digiKam standalone) sounds good but i can't see where to download a copy to install. This article focused on Windows tools. You could ask a question on MakeUseOf Answers. Fotor is super user friendly. We previously mentioned Fotor as a tool to process photos for Instagram-like effects. What, not even a mention of IrfanView? It's far more than a simple (free) photo viewer; it's also a very useful & simple editor as well - very popular with those of us who don't want, or need, impossibly complex programs. I like it for its batch image/EXIF editing, batch rename/resize capability, and more. It's among the most popular such programs out there! We should have thought of IrfanView. I use it to process screenshots. Great tool with just enough features to be super useful and yet lightweight. Photoscape is an excellent basic photo editor. Thanks for bringing up PhotoScape. Shamefully, it's been ages since we last covered it. Rawtherapee is a very capable Darkroom ! Pizap is also a nice tool to edit online photos for free. Here's a link for anyone interested in piZap, an online photo editor with no registration required, also available on iOS, Android, and as a Chrome app. I've always loved Paint.NET. I've been using it for years now and wouldn't consider switching. It's so easy to get to grips with, can be expanded with plugins (like being able to open psd files) and is, of course, entirely free!